Home Our Dogs Welcome the New Pups! We’ve got a few new additions to the MaPaw family that we’d love to tell you about! This handsome boy is Dempsey, just 2 years old, he’s still a lot of puppy! He’s a bit mouthy when seeking attention and we’re working with him on that. It just seems that this boy never got the training that he needed to help him be a good canine citizen. He is a quick learner and he’s learning every day! 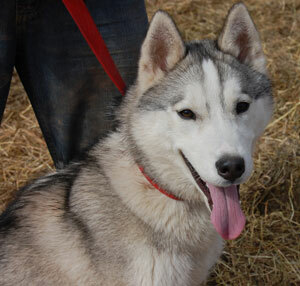 He is good with other dogs his size or larger and spends much of his day romping with the other pups. Dempsey is looking for a sibe-savvy home that will continue with his training.